Watty & Meg | Oh No! Not Another NYC Food Blog! American pub-style food in Cobble Hill. 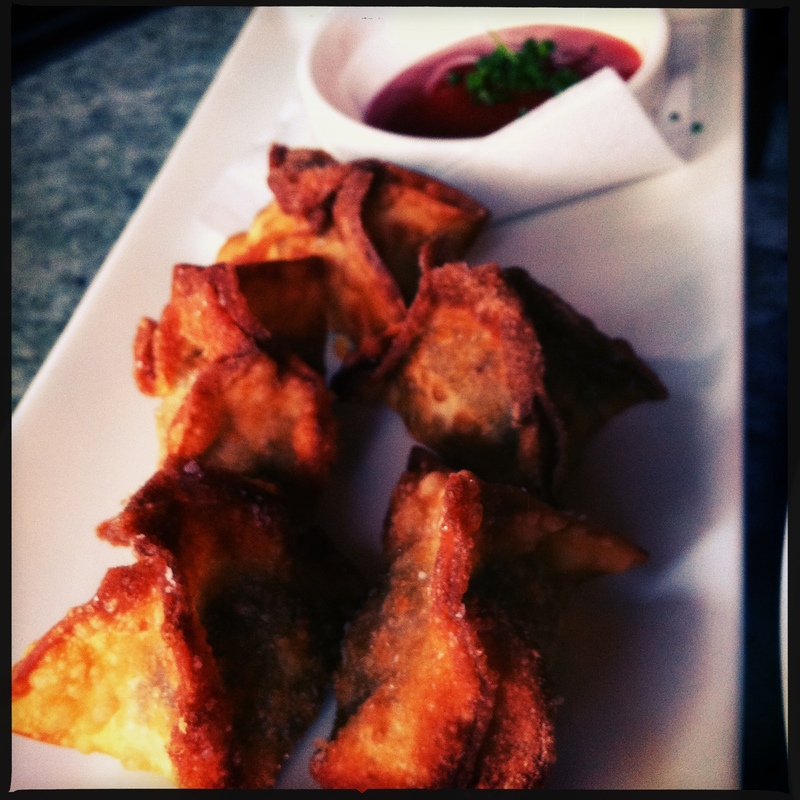 Cheeseburger Wontons with Truffled Ketchup – The cheeseburger filling was good, but that truffle ketchup is where it’s at. That stuff is amazeballs. 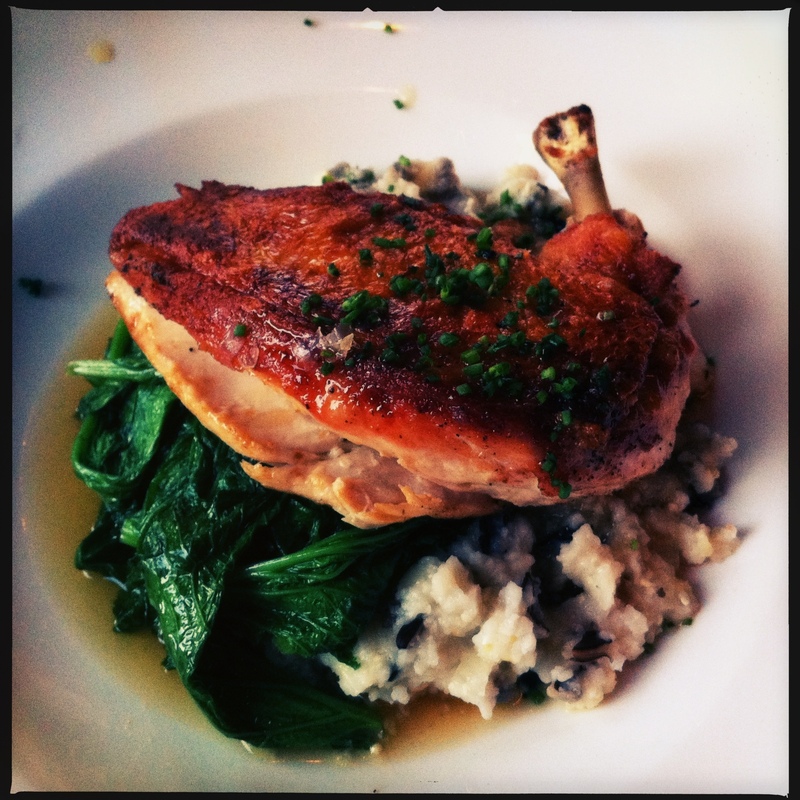 I had the Free Range Chicken with Wild Rice Falls Mill Grits, Mustard Greens with Lemon & Honeycomb Lacquer – This dish sounds fabulous. It was decent. The chicken was nicely seasoned & cooked; and the veg was cooked well, though the lemon and honey weren’t present. I don’t remember liking or hating the “grits”. My DH had the 11 oz. 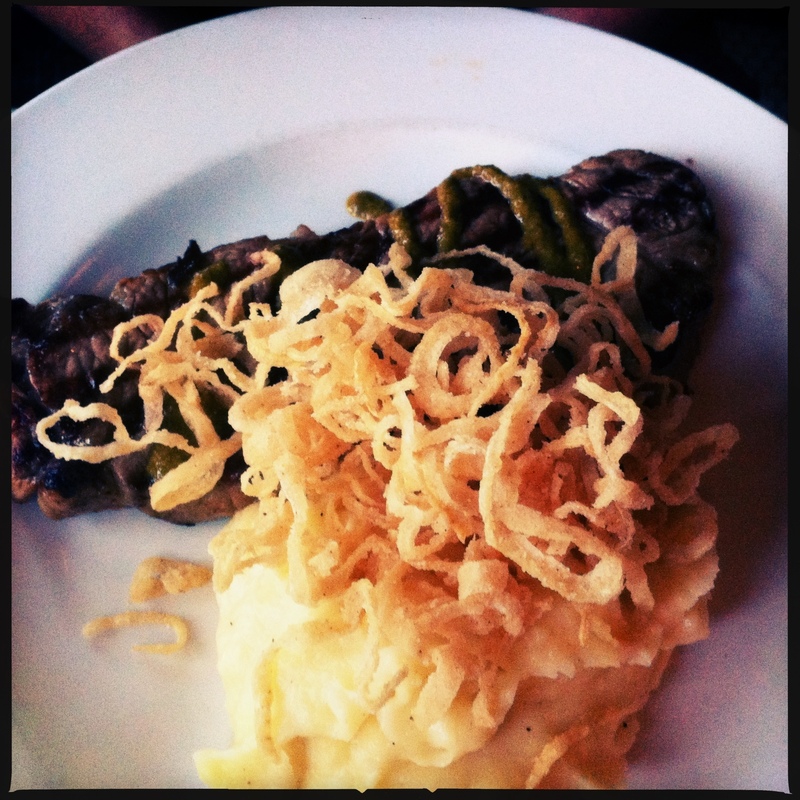 New York Strip with Chimichurri, Mashed Potato & Crispy Onion Ring Frizzle – The steak tasted meh and was so pale as to be borderline offensive. Ok, it was pretty offensive. This dish was satisfactory at best – the meat tasted like it wasn’t prime, instead tasting like choice. A weird complaint, but a suspicion my DH couldn’t shake. Great attention was however, paid to the sides – the potatoes were stellar and the frizzled onions were as good as it gets. Blacks & creams open to the outside. Service was slack, but it wasn’t clear if they were just understaffed. If we ever make it back, we would be interested in trying more sides (especially the Mac & cheese). The app was also good, so more of those would be in order. Overpriced – appetizer was priced way over what it should be, that was not a $28 steak, and the chicken was on the pricey side but it was at least cooked properly and seasoned well. 3 out of 5. Decent, but we will forget we were ever here as soon as we leave, and if we end up here again, it will be for a side and a condiment.